The jackpot for Powerball Lottery has been won, the next jackpot is: $266 Million! 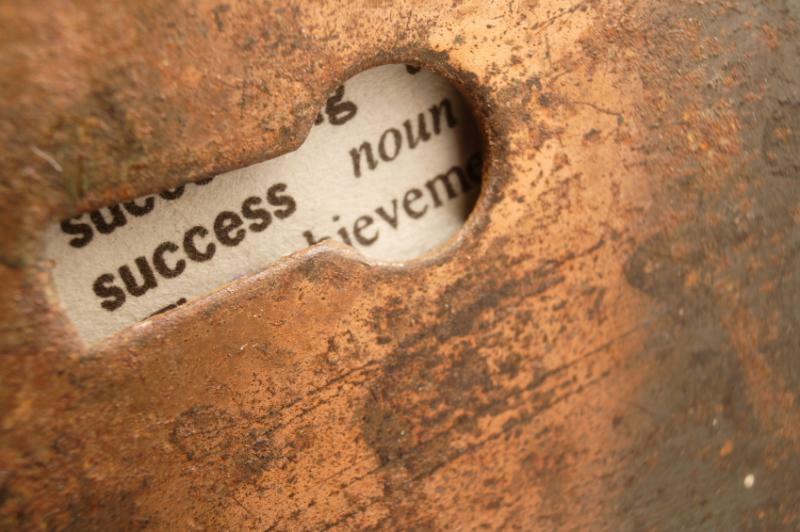 What happens when you win the lottery and decide you would rather attempt to hide your winnings? There are many people that have won the lottery and spent their riches on a few ‘rash’ decisions. Others have invested wisely and are still reaping the benefits of the winnings. Americo Lopes, on the other hand was ordered by a jury to share his Mega-Millions jackpot win with five co-workers. It’s not as ‘harsh’ as it seems. For years, a small group of construction workers all pooled money together to buy lottery tickets and the five of them relied on one member of their group, Americo Lopes, to buy the tickets. In November 2009, he collected the money and ended up buying what would later be the winning lottery ticket. Ready to begin his new venture, with his jackpot winnings of $38.5 million, Lopes told nobody about his win (except the lottery officials). He cashed in the ticket and days later quit his job, saying that he needed foot surgery. “We believed him”, said one of the others Candido Silva Jr. - until several months later, when Mr Lopes told another man in the group that he had won the lottery a week after he had stopped working. 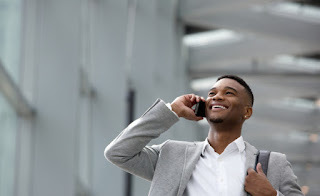 Quickly by word of mouth his story of luck spread and it wasn’t until another member of the group checked a website and found Mr Lopes’s name listed and realised the date of the lottery he’d actually won. 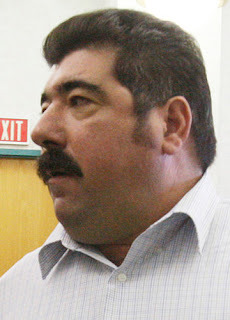 Mr Lopes’s assets were frozen shortly after the men filed suit in 2010. The five former co-workers testified that they had in fact given Lopes money to purchase lottery tickets on the day that he purchased the winning ticket. A sixth construction worker, who was not in the lottery pool, also testified against Lopes. In 2012, a jury ordered Mr lopes to share his winning with the five former co-workers. The courts’ decision awarded the five co-workers $4 million each. "I have a lot to do," Carlos Fernandez, one of the five plaintiffs, told the Star-Ledger after the verdict was announced. They had not planned for any life altering changes, perhaps just a two week holiday at most. 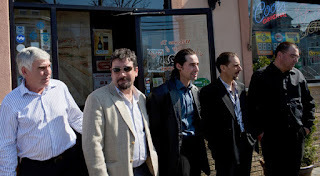 “If you have a clear conscience, you have nothing to worry about,” Mr Silva Jr said as he and his co- workers finished a celebratory meal in Elizabeth, N.J. Syndicate pools for lottery tickets are not an uncommon occurrence, however a formal document of the arrangement will keep all parties safe. At Lottery Network we manage syndicate pools for lottery players. These tickets can be purchase though your Lottery Network account. What is the Euro Millions Lottery Jackpot for 2016-02-26? | £30 Million | It is a Rollover! The jackpot for Mega Millions Lottery has been won, the next jackpot is: $114 Million! The jackpot for Mega Millions Lottery has been won, the next jackpot is: $104 Million! 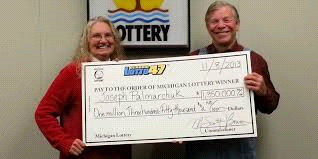 Winning the lottery seems to be almost impossible for most people, however Joseph Palmarchuk of Lansing, Michigan seems to have all the luck. Joe and his wife were forced into early retirement in the beginning of the 2000's. A short while later they had to declare bankruptcy, causing them to lose their home. Ever positive they knew their luck would change. In 2008, Joe received a life-changing call from a lottery official in Tennessee, telling him that he had just won $1 million. If that wasn't lucky enough, in 2011, Palmarchuk went on to win another 'big check' ($1.35 million jackpot in Michigans Classic47 lotto), making this his second lottery win. After assisting family and friends with his winnings, he and his wife continue to live their 'ordinary' lives. Admittedly he still continues to play the lottery regularly so that maybe one day he'll win his hat trick. "There is no pattern other than I can't win if I don't play," he says. "Mark my words: I'm gonna hit one again." Weekly, all over the globe, people buy lottery tickets with the hope to some day strike it lucky and win that jackpot prize. Many have even gone as far as deciding what they would do with their winnings: buy their dream house, travel the world, pay off their debts, etc. The reality is that winning the lottery jackpot doesn’t always make your all dreams come true, or solve your monetary problems. 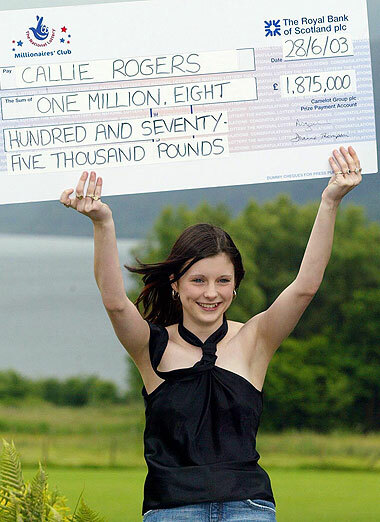 This is evident with Callie Rogers, who became Britian's youngest lottery jackpot winner in 2003 at the age of 16. Her jackpot win of £1.9 million saw her living out her dreams and then losing it all to poor planning, cosmetic surgery, parties and drugs. After spending £250 000 on cocaine and becoming an addict to class A-drugs Callie says, "It feels like a lifetime ago. I was too young to win the lottery - I don’t think 16 year olds should be eligible." Callie was living in foster care after a bout of arguments with her mom Susan Wilkinson. She had been placed with a wonderful couple, but after her win in 2003, she moved out and began spending her winnings. Designer clothes, lavish gifts and cosmetic surgery didn’t make this jackpot winner any happier, instead she was left feeling so lonely and vulnerable that she attempted suicide three times. Thirteen years later, mother of three, Callie is training to be a nurse and although she has only £2 000 left in her bank she believes that she is finally truly happy. Callie, 29, lives with her partner Paul Penny and son Blake, in a modest £80 000 house. This "ordinary" family shops for bargains at Tesco, saves up for family vacations and only has takeout’s on weekends. "I don’t think of myself as a lotto winner - I try to forget the ups and downs I've been through and just feel like a normal person. Even if you say your life won’t change, it does - and often not for the better. It nearly broke me, but thankfully I'm now stronger." The long struggle with depression eventually came to an end soon after she met fireman Paul in 2010. "Paul had no idea who I was or that I was even a millionaire," she said "I didn't tell him - after a while, he found out from mates, but he fell for me, not the money." Paul and Callie’s lives have not been free from pain either, Blake was one of twins, but his brother was delivered still born and despite the heartache that this couple has endured, Callie admits that she is finally happy for the first time since her lottery win. "My life revolves around the kids and, if they want something expensive, they wait for birthdays and Christmas. I'm glad they'll grow up knowing the value of money." She added: "For so long, I drifted with no aims. Now I have a job and my family to care for." What is the Mega Millions Lottery Jackpot for 2016-02-19? | $94 Million | It is a Rollover! The jackpot for Mega Millions Lottery has been won, the next jackpot is: $87 Million! What is the Euro Millions Lottery Jackpot for 2016-02-16? | Â£11 Million | It is a Rollover! The jackpot for Euro Millions Lottery has rolled over and you can now play for a massive: Â£11 Million! What is the Powerball Lottery Jackpot for 2016-02-10? | $TBACashValue:TBA Million | It is a Rollover! The jackpot for Powerball Lottery has been won, the next jackpot is: $112 Million! The jackpot for Mega Millions Lottery has been won, the next jackpot is: $63 Million!